It's that time of the year again folks, where every big publisher starts to hint and create the much-needed hype for the upcoming video games to be released - this year and beyond. Since E3 2019 is five months away, it's obvious the big hitters will begin discussing their plans. With their biggest competition out of the running this time around, Microsoft has centre-stage and it seems they are going even bigger with their ideas this time too. 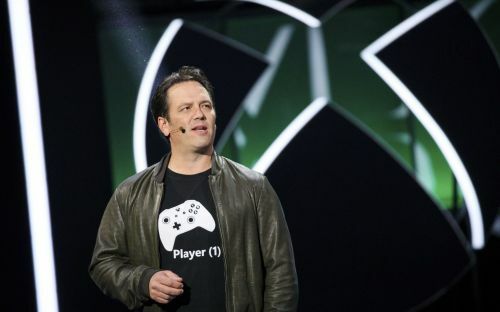 In a recent podcast with Director of Programming of Xbox Live Larry Hryb, Phil Spencer - the charismatic vice-president of Xbox - discussed the future of the console's games with the likes of Crackdown 3, the next games from the recently acquired studios and much more. The biggest news to emerge from the podcast is that Playground games and Rare are working on new projects, which are potentially next-gen games. This is exciting because it has been rumoured for a long time that the Forza developers are working on the next Fable game. Fable 3 released back in 2010 and the fans of this long-running action RPG series are desperate for the latest entry. On the other hand, Rare - the studio responsible for the ongoing Sea of Thieves - are possibly working on providing more updates for the game as well as a new project. Spencer said: "I saw what Playground is working on next, I saw what Rare is working on next, and their continued success with Sea of Thieves." He continued further, confirming their E3 plans are seemingly going to be bigger than ever before. "This is going to be a fun E3 for us, we had a discussion internally. Should we go big or save some money? No, we're going to do our thing and be as big at E3 as we've ever been. I love that opportunity to be with our fans and the industry... I feel really good about our plans, the content we'll have will be great and we'll talk about our future." Spencer also hinted that there will be an extended look into future titles, admitting they as a collective are still discussing just "how much long-term and near-term [games]" they decide to announce this summer. All these point towards a big next-generation console reveal alongside a huge load of next generation games with the likes of Fable 4, Ninja Theory's new game and potentially some major third-party news too - potentially Cyberpunk 2077. Are you looking forward to E3 2019 even though Sony won't be there? Tell us in the comments down below. For more Gaming News, make sure you stick to Sportskeeda! E3 2019: Did Bethesda just tease Starfield?